Wikileaks reported over the weekend that it has come under attack from a hacking operation, prior to its latest release of hundreds of thousands of secret US diplomatic messages. Wikileaks has issued the latest diplomatic leaks to a number of leading newspapers worldwide, with the UK's Guardian publishing the documents throughout this week. Wikileaks said via Twitter over the weekend: "We are currently under a mass distributed denial of service attack." The US state department claims that the latest batch of leaks of hundreds of thousands of secret, confidential messages sent by US embassies will put lives at risk. Other newspapers set to publish details of the leaked embassy messages include the New York Times, Spain's El Pais, France's Le Monde and Germany's Spiegel. "The material that we are about to release covers essentially every major issue in every country in the world," said Wikileak's founder Julian Assange. 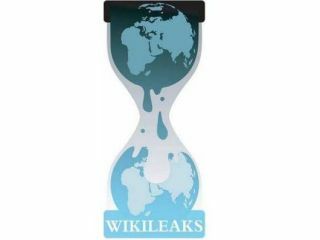 The latest release of info from Wikileaks follows earlier major leaks of 90,000 secret US records of US military incidents relating to the war in Afghanistan and 400,000 documents relating to the war in Iraq. The latest batch of documents are something of a diplomatic nightmare. Sent to the whistle-blowing site via USB stick, they contain information on numerous countries calling for Iran to be bombed by the US, America's annoyance of aviation tax and Mervyn King's apparent lack of respect for the coalition government and Prime Minister Cameron. It is suspected that the leaks came from US Army private Bradley Manning, an intelligence analyst arrested in Iraq in June. The US state department's legal adviser Harold Koh said the release of the information was against the law and would put lives at risk and that the US government would "not engage in a negotiation regarding the further release or dissemination of illegally obtained US government classified materials," in a letter to Mr Assange.